What lessons for the emerging Internet of Things (IoT) industry can be learned from companies who have successfully created new markets and have become the new market leaders? The creation of the mobile market provides lessons for companies who aspire to create and lead the IoT market. Apple created a new market by empowering thousands of application developers to define, design and develop solutions for a broad range of consumer needs. They focused on a developer-centric business model and gave developers the tools and platforms to innovate thousands of applications. Google created a new market by empowering thousands of device companies to ship millions of Android devices and innovate quickly in the fast growing smartphone industry. They too provided the platform and tools to make it easy and profitable for entrepreneurial developers to launch their innovations and as a result they created and led a new mobile device market. Over the past 5 years, the creation of the mobile market provides clear lessons for the emerging market IoT market. Both Apple and Google created and won the mobile market because they pursued different business models from their competitors at the time – Nokia, Microsoft and Blackberry. Instead of trying to do everything themselves, Apple and Google focused their business model on creating a network and ecosystem of innovative developers who launched thousands of apps and devices that neither company could ever create on its own. We’ve seen that this ecosystem-centric business strategy creates new markets that are several times bigger than the closed potential market could ever become. The same will happen in the creation of the Internet of Things market. To create and win the IoT market, companies should be driving a strategy focused on creating an ecosystem of developers through developer-centric business models and initiatives. Look at the IoT strategy Apple announced at their recent developer conference. Apple didn’t announce new devices or applications. 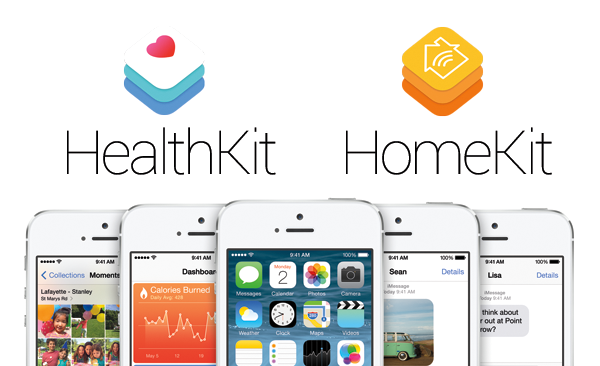 They announced new IoT related APIs called HealthKit and HomeKit. These new APIs make it very easy for developers to build IoT applications linked to Apple devices and platforms. Developers have an easy path to innovation and users gain new connected applications. Apple continues to build an ecosystem of developers and the opportunity to offer new value to users based on the data generated by HealthKit and HomeKit APIs. Yet, some of today’s early IoT companies are still focused on solving technical challenges, selling their own devices or developing their own applications. They are not following the market creation strategies proven so successful in the mobile market. They are not focused on empowering developers to innovate. Instead, they are offering closed systems, insufficient APIs, weak tools, multiple platforms that are fragmented and no marketplace (think app store or appexchange). These strategies are preventing developers from innovating and restraining the IoT market from accelerating. Aspiring leaders of the emerging IoT market should follow the market creation strategies that were so successful in accelerating the creation of the mobile market. They should focus on linking their products and platforms with the innovation and market demand created by developers through open APIs, powerful tools, developer friendly policies and a marketplace to monetize their innovations. Otherwise, early IoT companies risk becoming a commodity in an IoT market dominated by someone else’s ecosystem.